The Bachelor spoilers reveal Caelynn Miller-Keyes and Hannah Brown were rivals even before they showed up to battle for Colton Underwood‘s heart. The bachelorettes are both recent Miss USA contestants who knew each other from their pageant days. However, they aren’t friends anymore. So what happened? 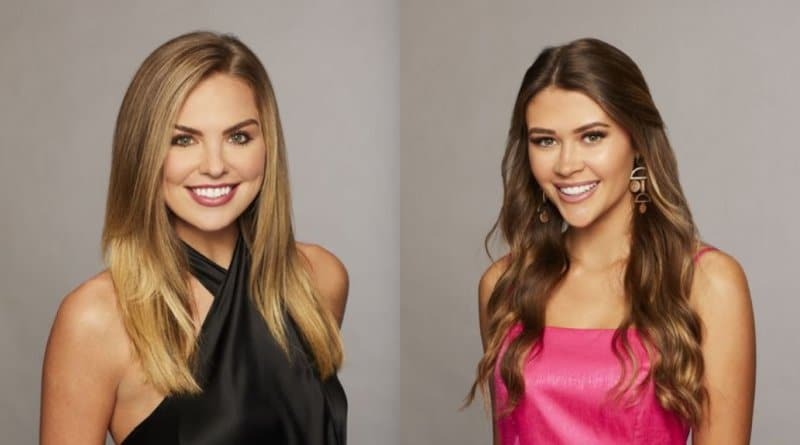 The Bachelor: Who Are Caelynn Miller-Keyes & Hannah Brown? Caelynn Miller-Keyes was Miss North Carolina 2018. She was also first runner-up in the Miss USA pageant. Interestingly, she’s originally from Fredericksburg, Virginia. 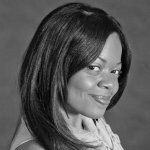 In addition, she attended Virginia Commonwealth University where she majored in Journalism. Hannah Brown was Miss Alabama 2018. Unlike Caelynn Miller-Keyes, she wasn’t a Miss USA finalist. She didn’t even make the top 10. The beauty queen is originally from Tuscaloosa, Alabama. However, her pageant days weren’t always so easy. Admittedly, The Bachelor contestant struggled with anxiety and depression. In the past, she’s taken time off from beauty contests to focus on her mental health. Miss USA 2018 – What Happened With Caelynn and Hannah? The Bachelor contestants, Hannah Brown and Caelynn Miller-Keyes were once on good terms. They were roommates during the Miss USA competition. However, at some point, they became rivals. This season of The Bachelor will reveal details of their rocky history. On The Bachelor, Caelynn Miller-Keyes accused Hannah Brown of being jealous of her. She believes Hannah envies her because she placed as first runner up at Miss USA. As a result, Hannah stopped communicating with the other pageant contestant. For her part, Hannah Brown believes Caelynn is a fake. In an upcoming episode, Colton Underwood approaches Hannah Brown about things he’s heard about her. But, Hannah will deny the rumors. Caelynn will warn The Bachelor that the former Miss Alabama is manipulative. But will he listen? Sounds like a bunch of drama exploding! Despite the trouble brewing between the divas, The Bachelor will still give them a chance. He’ll date them both. In episode two, Hannah Brown received the first one-on-one date. Though it didn’t go well initially, the night ended great. She received a rose. Likewise, Colton Underwood also admires Caelynn Miller-Keyes. She received a kiss on night one of the show. Amazingly, the pair will have good chemistry throughout the show. Viewers will see Colton favor her during The Bachelor season. 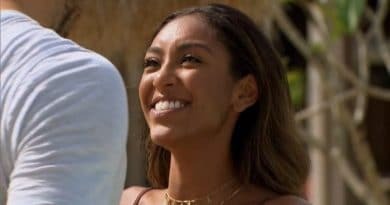 The Bachelor Spoilers: Will a Pageant Girl Win Colton Underwood’s Heart? Soap Dirt The Bachelor spoilers have previously reported that Caelynn Miller-Keyes will make the top four. However Colton Underwood, will eliminate her after hometown visits. The Bachelor will visit her home and family in Fredericksburg. However, he will not see a future with her. Therefore, she will not progress into the final three. 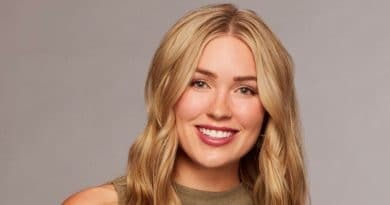 Hannah Brown will be eliminated the episode before hometowns. So once again, Caelynn Miller-Keyes will make it further than Hannah Brown. Colton Underwood will send Hannah packing in Denver, Colorado. He will send her off during their one-one-one date. The Bachelor will also eliminate Heather Martin and Kirpa Sudick this episode. This season of The Bachelor will be full of many twists and turns! Viewers will be rather entertained! Stay tuned to The Bachelor on Monday nights. Don’t forget to return to Soap Dirt for all the latest from ABC’s The Bachelor spoilers and news. 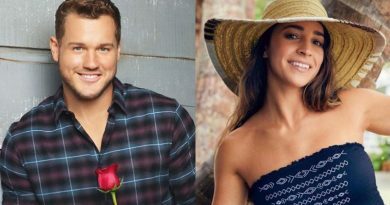 ‘The Bachelor’ Colton Underwood Confesses Aly Raisman Broke His Heart!